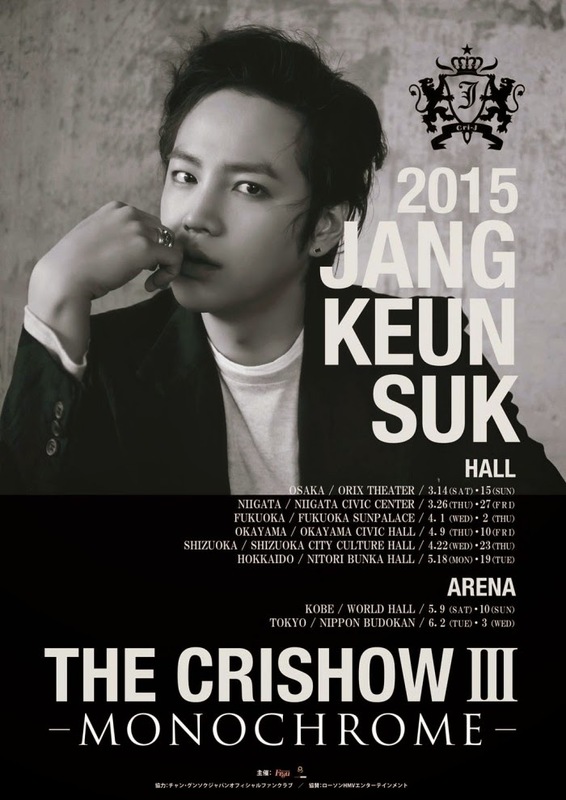 Jang Keun Suk will launch ‘The Cri Show 3‘ in Japan starting this weekend in Osaka, Japan. ‘The Cri Show 3′ will start in Osaka on March 14th, before proceeding to Niigata, Fukuoka, Okayama, Shizuika, Hokkaido, where he will perform at 12 hall concerts in six cities. This will be followed by four arena concerts in Kobe and Tokyo. All tickets for the 16 concerts have already been sold out. Following 2011 and 2012, ‘The Cri Show 3′ will see Jang Keun Suk embark on his 3rd Japanese concert tour. The concert will also see Jang Keun Suk perform songs from his new 3rd Japanese original full length album ‘Monochrome.’ All sorts of high technology techniques will be employed during the concert in order to create a grand stage. In contrast to ‘The Cri Show 1′ and ‘The Cri Show 2′ that had a storytelling element through a musical, the upcoming concert will focus more on music itself, with fuller content and high quality performances. With the advance technology in this present digital age of 2015, Jang Keun Suk is set to demonstrate his unique charms during his concert that will leave one breathless, and bring the distance between himself and fans closer through natural styling.